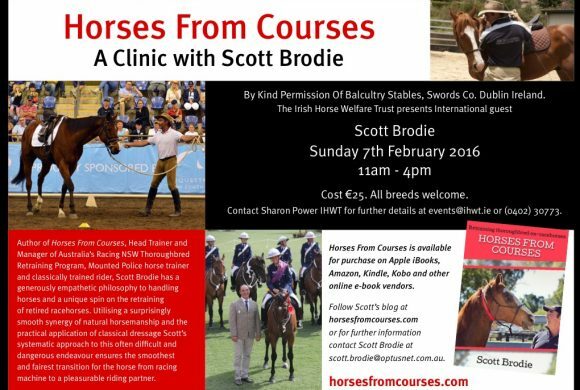 Giving ex racehorses a brighter future. 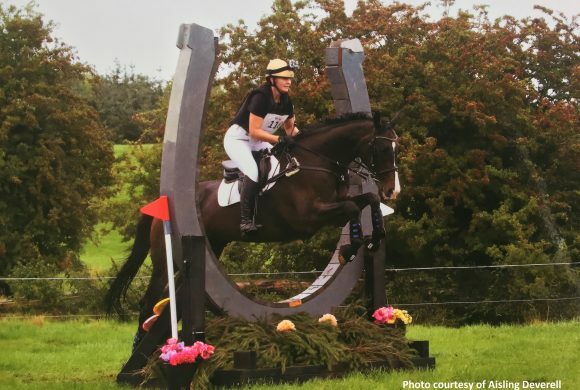 The IHWT Thoroughbred Club aims to support owners, loaners and riders of ex-racehorses and to promote the use of ex-racehorses in equestrianism. 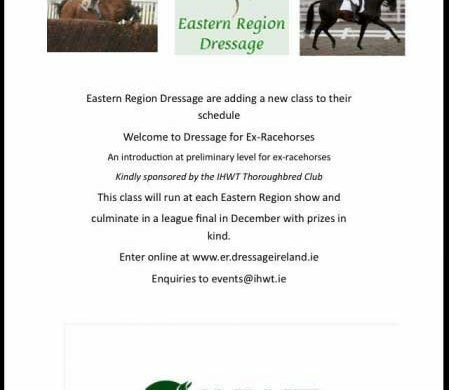 The Thoroughbred Club has a membership for which currently there is no cost to join and it is open to owners, loaners and riders of ex-racehorses and Thoroughbred Horses generally. The Thoroughbred Club hosts various training clinics and events annually and also hosts a Summer Show Series for Retired Racehorses. The 2017 and 2018 Show Series was kindly sponsored by Tattersalls ltd and also supported by TRI Equestrian. Download our Thoroughbred Club Membership form and join us today. 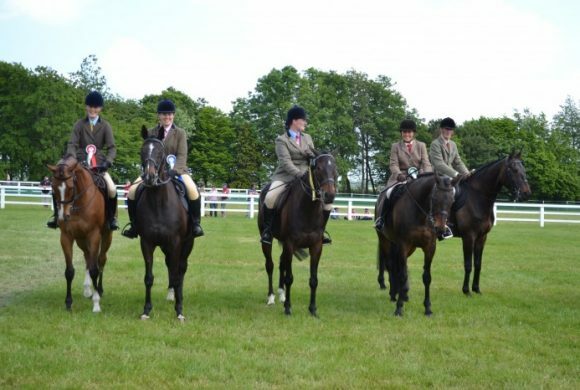 IHWT through THE THOROUGHBRED CLUB aims to support owners, loaners and riders of former racehorses and to promote the re-training and re-homing of ex-racehorses throughout Ireland. Hundreds of horses leave racing each year. Many of these horses could be re-schooled for other disciplines. 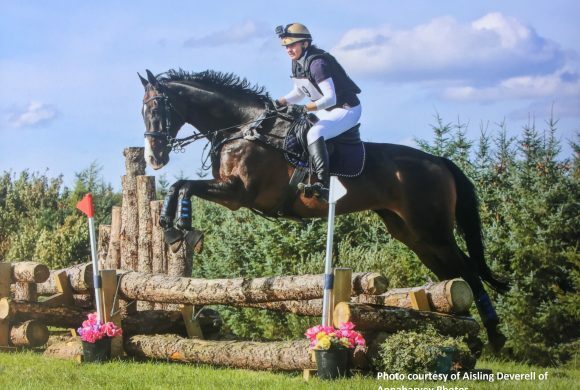 The Thoroughbred horse is intelligent and versatile and can be re trained for many other disiplines including Dressage, eventing, hacking, showjumping, Polo. It takes a minimum of 6-9 months to re-train and re-school an ex-racehorse and this time can increase depending on the individual. 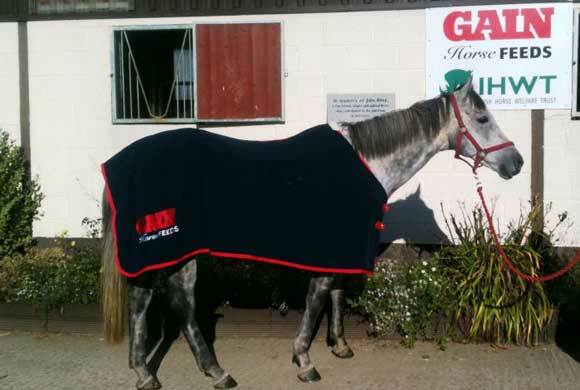 Racehorses come out of a highly stressful career and it takes time for them to settle into a new type of work. 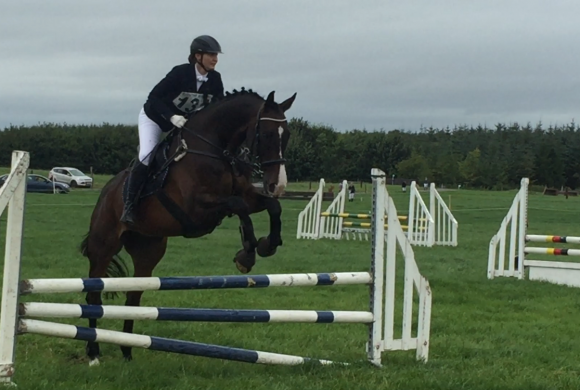 Most horses adapt happily given the chance and can go on to do other disciplines such as Hacking, Dressage or Show jumping. 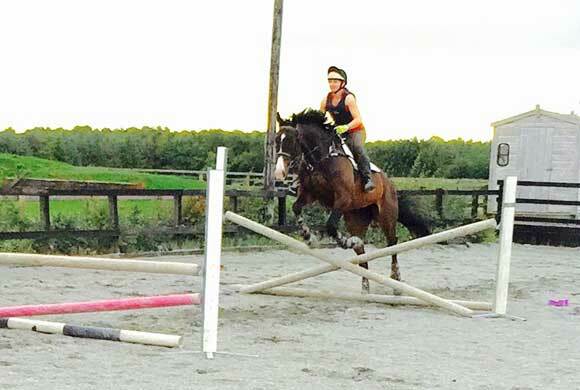 They are however not suitable for novice riders and need a lot of care and attention. 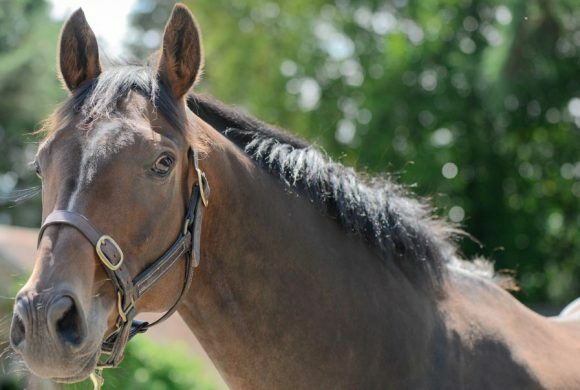 Ex-racehorses should be assessed during the first few weeks for any behavioral or other problems. They should be visited by the dentist and chiropractor. The horses have to adjust to a new diet and routine (especially those coming straight out of racing). Individual diets need to be formulated. Only when all of the above is done can the re-schooling begin. 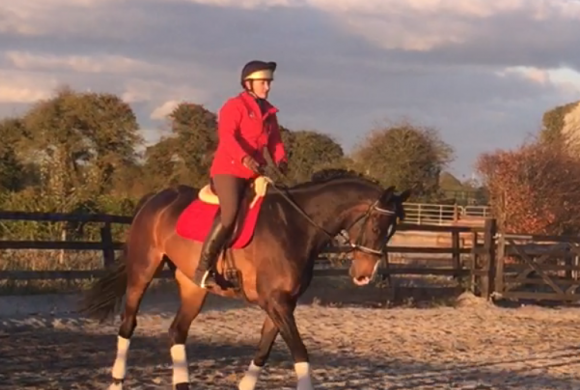 Re-training starts with weeks of long reining and then some lunging before a rider is introduced. 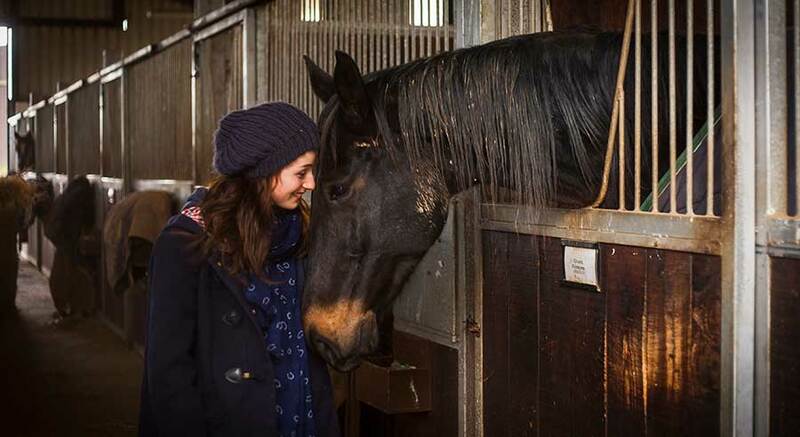 Once ridden work commences horses are worked with 3 or 4 times weekly in a combination of short flatwork sessions and hacks out – in company first and then hacking alone. Although some ex racehorses find this very stressful. 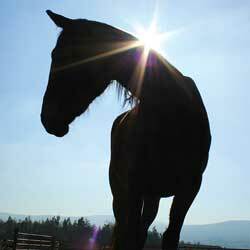 The Horse should get lots of daily handling and grooming and daily turnout in preparation for a new career living in a new home. 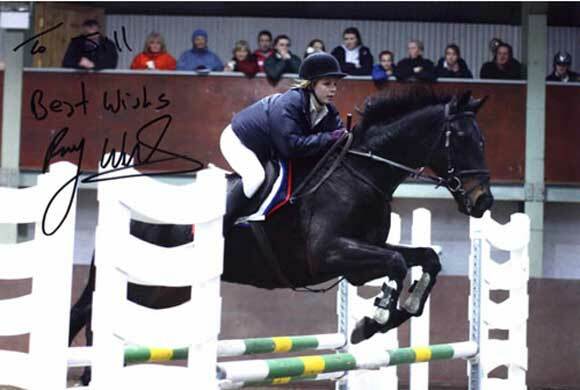 Many ex-racehorses that have come through the IHWT have gone on to have successful careers in showjumping and as leisure and riding club horses.